I don’t know about you, but I’ve always liked good quality olive oil. Perhaps it’s so important to me, because I grew up in a household that loved Mediterranean dishes. Many of my childhood travels took me to Italy and it’s still one of my favourite foodie destinations today. Some people say that I drench my food in olive oil – well, I just prefer it that way. I’ve been struggling to find premium EVOO in South Africa and sometimes buy imported oils. Luckily I recently discovered a locally made quality product and my taste buds couldn’t be happier. 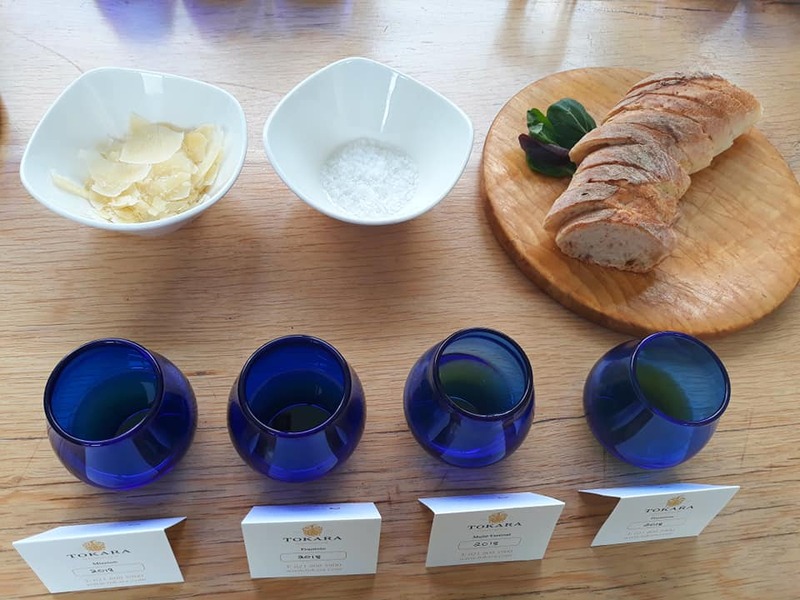 Since my first olive oil tasting at Surval Boutique Olive Estate in Oudtshoorn, I know for a fact that olive oil is not just olive oil. There’s so much more to it and that’s why I think you can easily compare an olive oil tasting with a wine tasting. It might be a bit strange at first, but just let your palate adjust to this extremely flavourful experience. 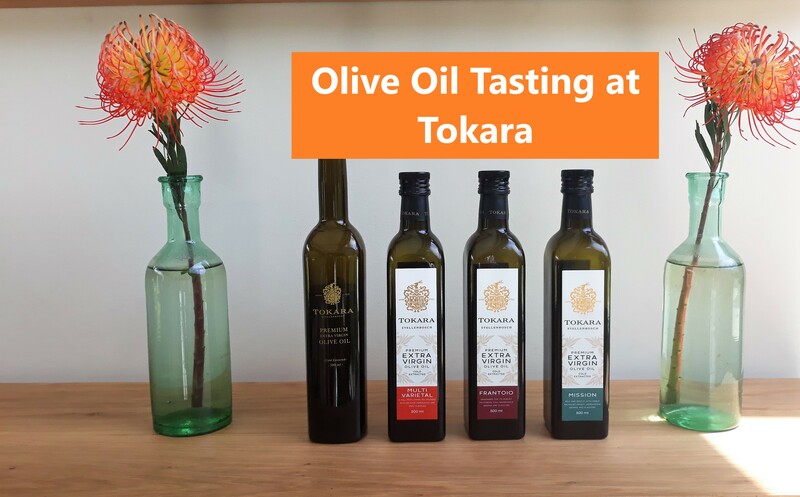 I jumped with excitement when I heard that our next #TravelChatSA experiences would take us to Tokara Wine Estate in the Stellenbosch area for an OLIVE OIL TASTING. Having visited many wine estates around Stellenbosch over the years, Tokara was a new destination for me. Once we arrived on the grounds of Tokara I instantly regretted the long wait. How could I miss this Tuscan-style winery all those years? 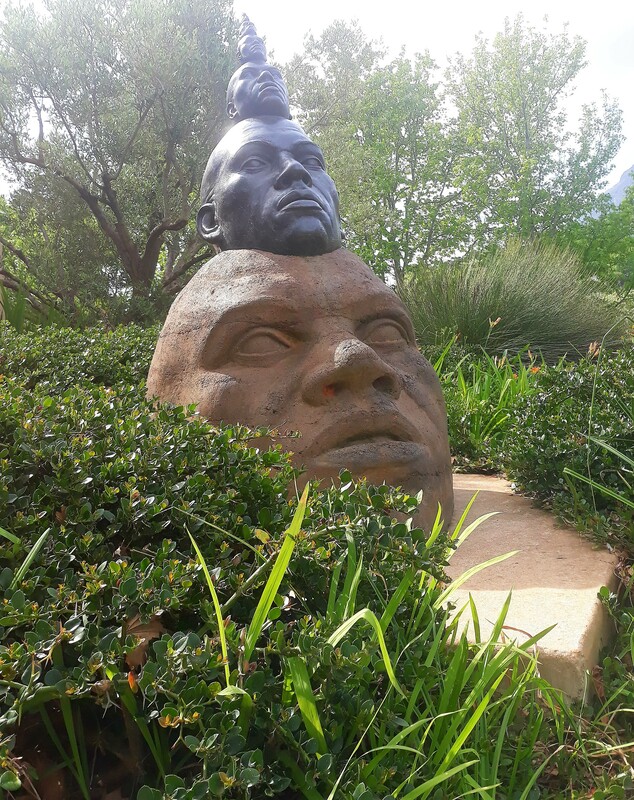 It’s a tranquil place with lots of art pieces showcased throughout the estate. Don’t forget your cameras – you can get really nice shots here. 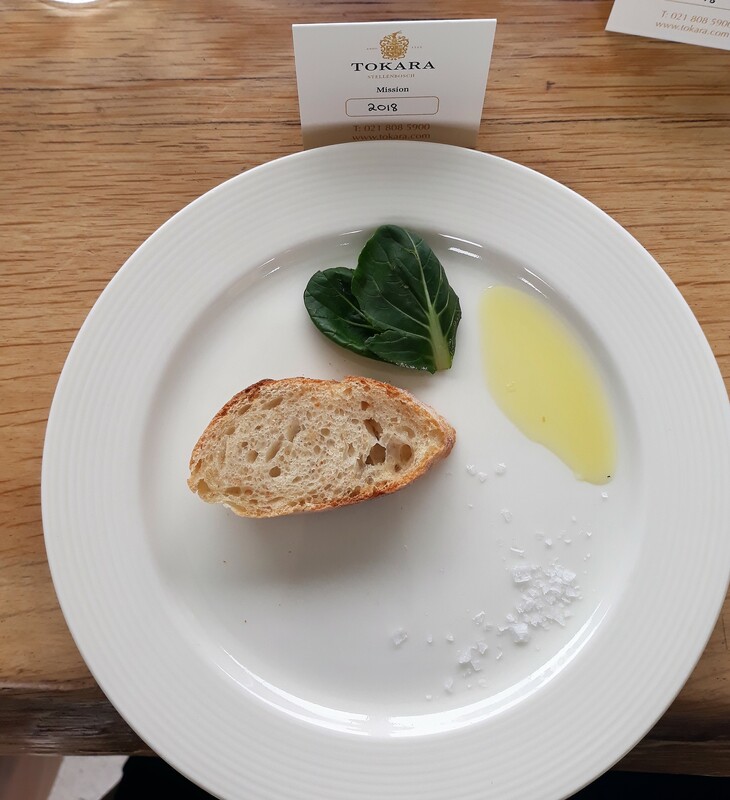 Let’s get straight to the olive oil tasting which took place at the Tokara Delicatessen tasting room. 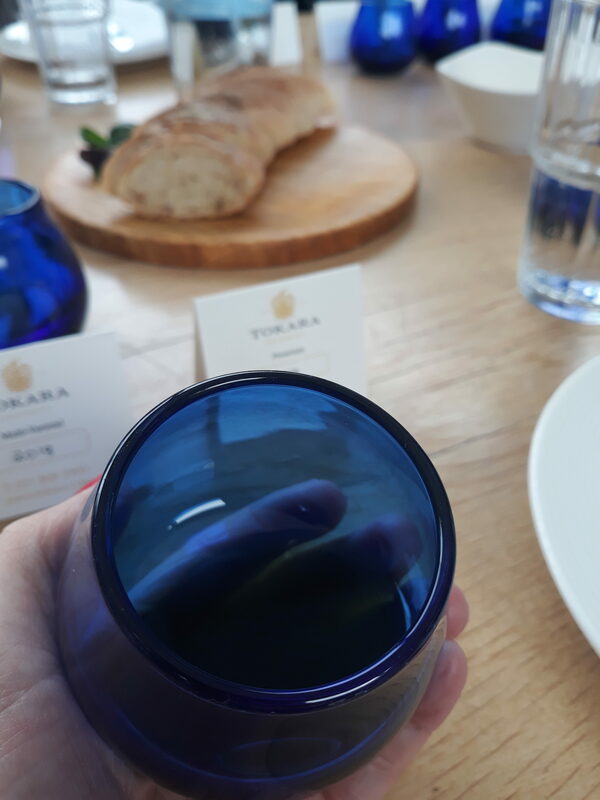 We were seated at a beautifully decorated long table and got an insightful introduction on Tokara’s olive oil production by passionate olive oil master Gert van Dyk. When Gert speaks about his olives, you just want to learn more and more about this kind of art. Yes – producing quality olive oil is like creating art. During the guided tasting we learned that the olives have to be pressed within 24 hours in order for their flavours to unfold. Similar to a wine tasting, there’s a certain way that you should hold the glass. First you need to cup the glass in one hand and cover it with the other hand in order to warm it up. Stay like this for like a minute or two. Next step is to swirl the oil for the aromas to be released. Now inhale deeply and be surprised by its explosion of flavours. When actually tasting the olive oil, be careful. Just take a small sip as it can be a bit overwhelming at first. Repeat this procedure with all the olive oils and enjoy this interesting experience. Did you know? Before the oil makes it into its beautiful bottle, it is left to settle for a few months in very big containers. Tokara is proud to sell a 100% pure extra virgin olive oil. This means that no chemicals are added to the olives. From all the 4 olive oils we tasted, I really loved the full-flavoured Frantoio. Pair this or one of the other olive oils with some artisan Italian bread and salt – welcome to paradise. After the olive oil tasting we were treated to a lunch at the beautiful restaurant at Tokara. Await breath taking views over the vineyards. To my pleasant surprise, I knew the waiter from way back from another restaurant and I was catered for with vegan options like a queen. 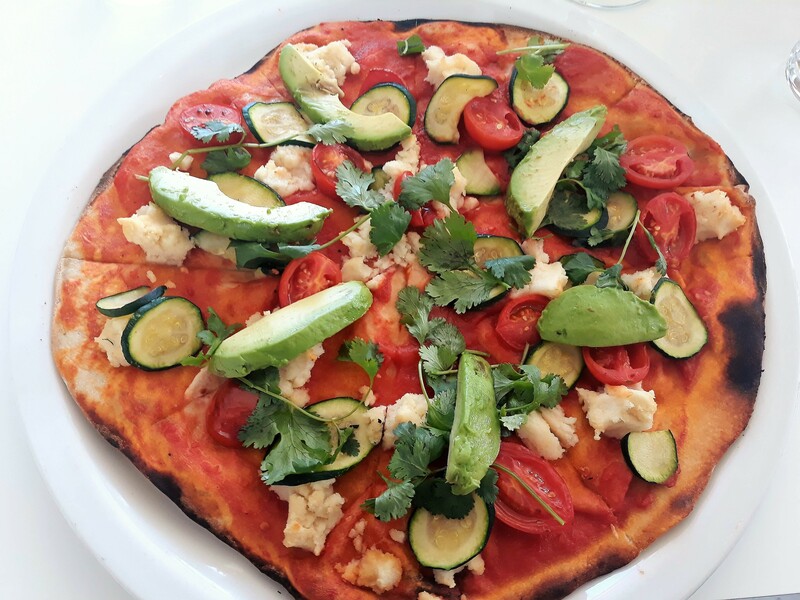 Tokara offers Italian inspired meals and I highly recommend their authentic pizzas. We started off with a vegan Waldorf salad and my main, a vegan pizza was delicious and even topped with cashew nut Mozzarella. There’s nothing better than quality Italian food paired with fine wines. Don’t you agree? 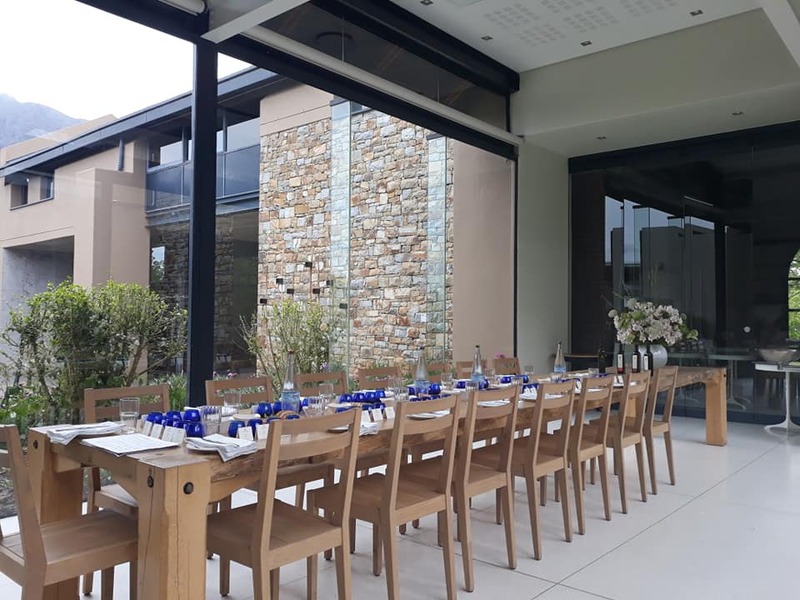 So, if you are looking for a place in the Stellenbosch Wine Region, where you can do an olive oil tasting, wine tasting and enjoy a vegan lunch surrounded by beautiful views – TOKARA is definitely the place to be. 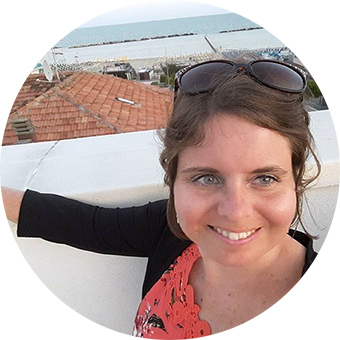 WANT TO DO A GUIDED OLIVE OIL TASTING? 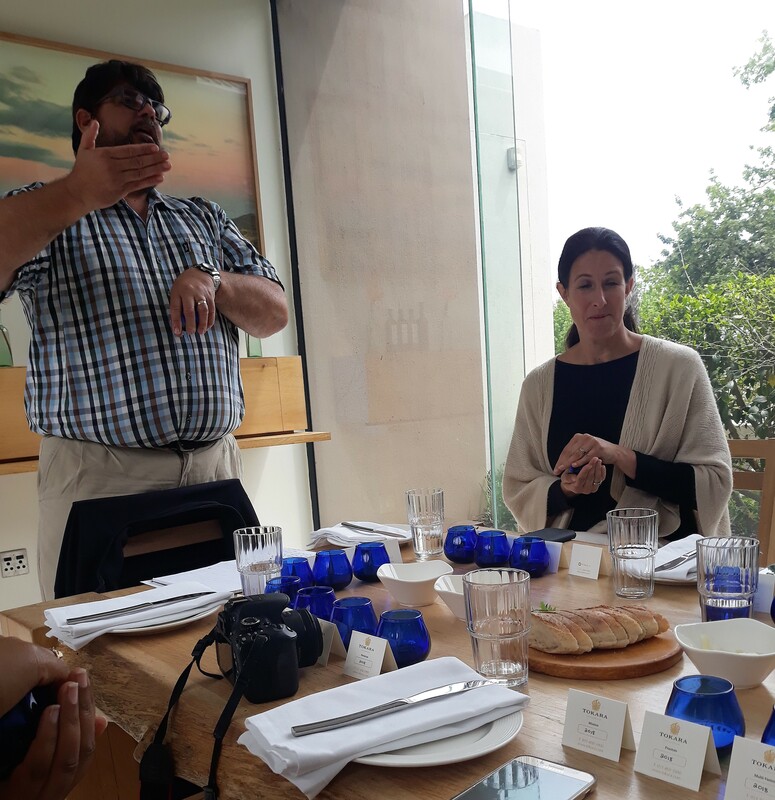 DISCLAIMER: I was hosted to the olive oil tasting and lunch at Tokara as part of the #TravelChatSAExperiences. Many thanks Gudrun from GC Communications for the invitation.